consumption, and it’s easy to see why when both good and bad fats pack 9 calories per gram. However, excessive caloric intake is really the true cause of weight gain. So, it is in your best interest to consume good fats that actually benefit your health instead of overeating processed foods high in saturated and trans fats. Before understanding how both good and bad fats impact the body, it is important to differentiate between monosaturated and polyunsaturated fats, which are the ones we need in our diet, and saturated and trans fats, which we could do without as they are known to increase health risks. Monosaturated and polyunsaturated fats contain essential fatty acids and fat soluble vitamins that our body burns up to use as fuel. The consumption of good fats is also responsible for healthier skin, better eye sight, and brain development in younger children. Polyunsaturated fats are rich in omega-3 fatty acids and have been known to lower cholesterol and the risk of heart disease. Fatty fish, like salmon, trout and catfish, as well as flax seed and walnuts, are all rich in omega 3. The American Heart Association recommends 2 servings of fatty fish per week for ideal fat consumption. Monosaturated fats are also known to decrease the risk of heart disease, a fact that is illustrated by Mediterranean cultures that consume a high amount of olive oil, a source of good fat, and have very low heart disease rates. Monosaturated fats are also a good source of antioxidant vitamin E, which can be found in olives, avocados, almonds, and pumpkin seeds. when you have high blood cholesterol, blocking the flow of oxygen rich blood to the heart and the brain, so it is important to monitor consumption and look out for your body. Saturated fats can also increase the probability of colon and prostate cancer. When it comes to consuming fats, quantity and quality are both important. Fats tend to add up quickly, so monitor your eating habits closely to ensure that the fats you do consume are actually benefitting your body. Be mindful to read labels, replace fatty sauces and products with low-fat alternatives, and pack your daily meals with whole grains, fruits, and vegetables for an all-around healthy diet. 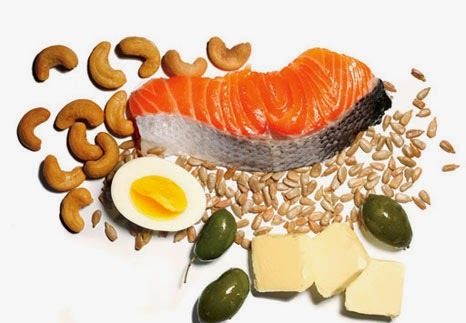 How do you like to maintain a healthy balance of fats in your diet? Share your story with us in the comments below!